This week we take a look at creating a custom settings panel in WooCommerce. We also have Part 1 of a workflow series on deploying WordPress. PHP Conference Asia has been announced, taking place in Singapore in September. Already confirmed to speak is Rasmus Lerdorf and Sebastian Bergmann. Super Early Bird tickets are on sale now. Plus the latest Full Stack Radio podcast is all about Vuex, and using it to manage your applications state. And finally, find out about upcoming events and releases across the WordPress project in The Month in WordPress: April 2018. Have a great weekend, and enjoy your read. One of the things I love the most about my new role as Community Liaison at the Drupal Association is being able to facilitate discussion amongst all the different parts of our Drupal Community. I have extraordinary privilege of access to bring people together and help work through difficult problems. The governance of the Drupal project has evolved along with the project itself for the last 17 years. I’m determined in 2018 to help facilitate the next steps in evolving the governance for our growing, active community. For the past few months, I've been looking for a new home to share articles, projects, podcasts, or other things that leave an impression on me. Adopting a Code of Conduct was a great step forward for the Symfony community. Now, if a community member encounters an issue of harassment or other unwanted behaviour, they need to be able to report it and get support. This is one of the roles of the CARE team. If you’ve ever tried to install a calendar plugin you know that it’s not exactly the same as a fully functional event management tool. Calendars display dates of events, while the best WordPress event management plugins offer functions like ticketing, RSVPs, guest management, automated email notifications, booking forms and more. In order to achieve some of the more advanced calendar features, a WordPress event management plugin is required. What’s great is that you have dozens of options to choose from, and the best ones are affordable, powerful, and easy to understand. Action Injections are much fun, but it can turn your project to legacy very fast. How to refactor out of the legacy back to constructor injection and still keep that smile on your face? Imagine a situation: your mobile application needs to get some information from your site on Drupal 8 using JSON. Why JSON? Why not XML? In this article you will learn how to do it without much effort and installing additional modules, how to change the JSON array programmatically, and send the JSON data with and without using Views. In a current Magento 2 project we are focusing on building a headless instance that communicates with a kind of PWA application. In such an environment testing the APIs via Postman makes sense and since the Magento 2 API is documented via Swagger, one can easily import the API definition into Postman. Here is how to do it with httpie. Welcome to the first post in a workflow series on deploying WordPress. In this series, we’re going to look at how you can set up automated deployments for your WordPress site in a range of different ways. But before we get into the “how”, first we’re going to look at why you should consider setting up automated deployments for WordPress and how you can prepare your site for automated deployments. About a year ago, I spent some time working with an open source project called PHP Crud API. The project creates a RESTful API from a relational database using a single PHP script. It’s quite an impressive feat of engineering, but as I started working on the project, I realised I needed a reliable way to test my changes in different versions of PHP. That’s where Docker comes in. Code versioning has become a standard practice in development circles, with GitHub being a popular platform for hosting code repos. However, a common issue is the testing of the code as it is pushed by a team member. As the volume of commits increases, ensuring the quality and accuracy of code becomes a challenge. During script runs – that change files – I frequently need to check which files have been modified by the scripts, especially in CRON automated tasks. This allows me to take appropriate actions depending on the file state change. The following post shows how we can monitor file state changes in nodejs. In software development, one of the “best practices” is to create reusable code that can be implemented in different parts of your application if needed. PHP7 gave us some cool features, including anonymous classes. These are classes that you can define on the fly, associate with a variable and instantiate whenever you like. In a well built application you might think there are limited use cases for these, with all classes you need having their own file and specific place in the application, but what about classes that are incredibly custom, few lines long and barely used? I’m going to open this post with an apology for anyone who’s corporate firewall gets triggered by this URL, but I just couldn’t resist the title. PHPDetroit is a two-day, regional PHP conference that brings the community together to learn and grow. We're preceding the conference with a 2 track tutorial day that will feature 4 sessions covering various topics. We will also be running an UnCon alongside the main tracks on Friday and Saturday, where attendees can share unscheduled talks. Tickets are on sale now. The third pan-Asian PHP conference will take place in September 2018 in Singapore - the Garden City of the East! This is a single track, 2 days Conference, followed by a day of tutorials on 29th September 2018. Come and meet with the fastest growing PHP communities in Asia. More than 300 attendees are expected in this single track conference, with Rasmus Lerdorf and Sebastian Bergmann already confirmed as speakers. The Call for Papers is now open, and Super Early Bird Tickets are on sale now. Jake and Michael discuss all the latest Laravel releases, tutorials, and happenings in the community, which this week featured a lot of caching. Cal Evans and TJ Gamble sit down and talk Magento, PWAs, and Imagine. In this episode, Adam talks to Blake Newman about getting started with Vuex, and how you would use it to manage your applications state using several practical real-world examples. Topics include the Twitter mass password reset and how dark patterns trick you online. I've just finished reading "Discovery - Explore behaviour using examples" by Gáspár Nagy and Seb Rose. It's the first in a series of books about BDD (Behavior-Driven Development). The next parts are yet to be written/published. Why does WordPress use PHP? In this video from my course, Learn PHP for WordPress, you'll get a detailed answer to this question. I'll give you an introduction to what PHP is and then show you why it's used in WordPress. On July 19th 20:00 CEST, I will join a Nomad PHP meeting to talk about The PHP Developer Stack for Building Chatbots. I am super excited to present my new talk, and I want to tell you a little bit more about it. It's stats o'clock! See 2014, 2015, 2016.1, 2016.2, 2017.1 and 2017.2 for previous similar posts. You’re proud to call yourself a nerd and consider programming in PHP to be more than just a job? You’d like to help us make our shop better and faster while simultaneously providing our customers with an unparalleled and flawless shopping experience? If you feel like this describes you and also happen to have a weakness for new technology, you’re just the person we’re looking for! A Content Management System (CMS) which allows you to build websites for any purpose. Yes, from blog to corporate mega portal. AvoRed E Commerce is an Laravel Open Source Shopping Cart. Sell digital downloads through WordPress. Devless is a ready-made back-end for development of web or mobile applications. Invoke PHP callables with a timeout. Aimeos PHP e-commerce framework for high performance online shops. 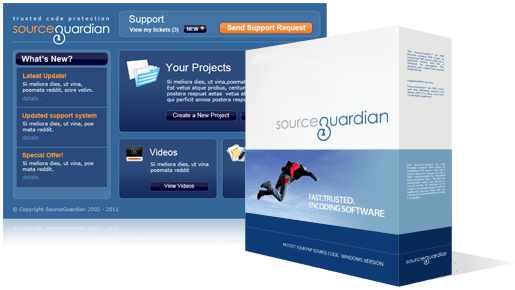 Backdrop is a full-featured content management system that allows non-technical users to manage a wide variety of content.